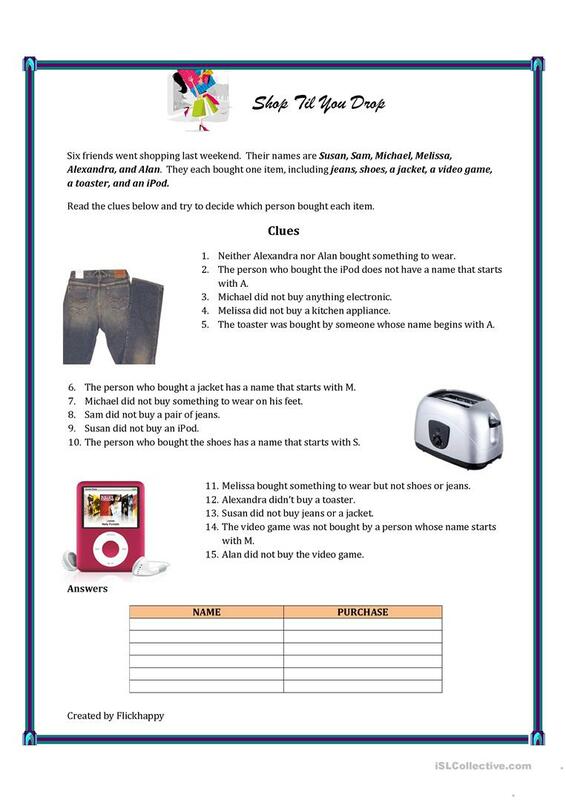 This logic puzzle gives students practice with the simple past tense. 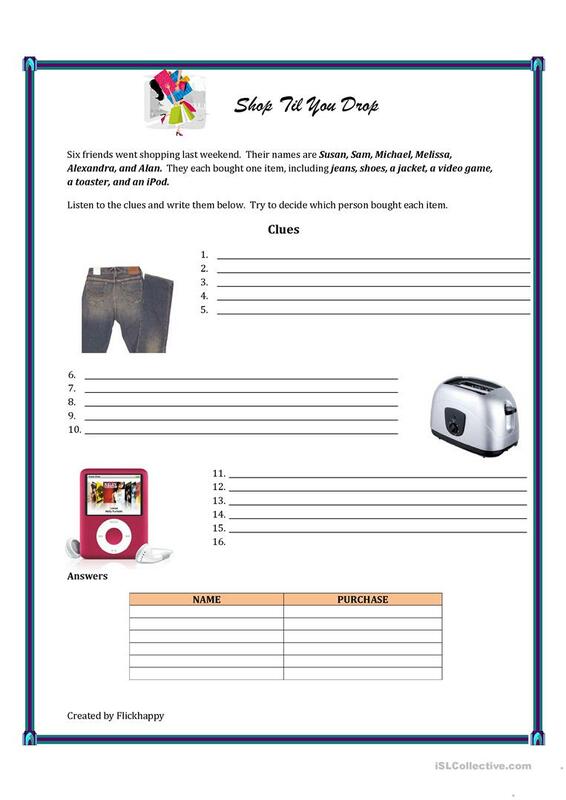 There are two versions of the worksheet. One version has the clues and can be used as a reading or homework exercise. 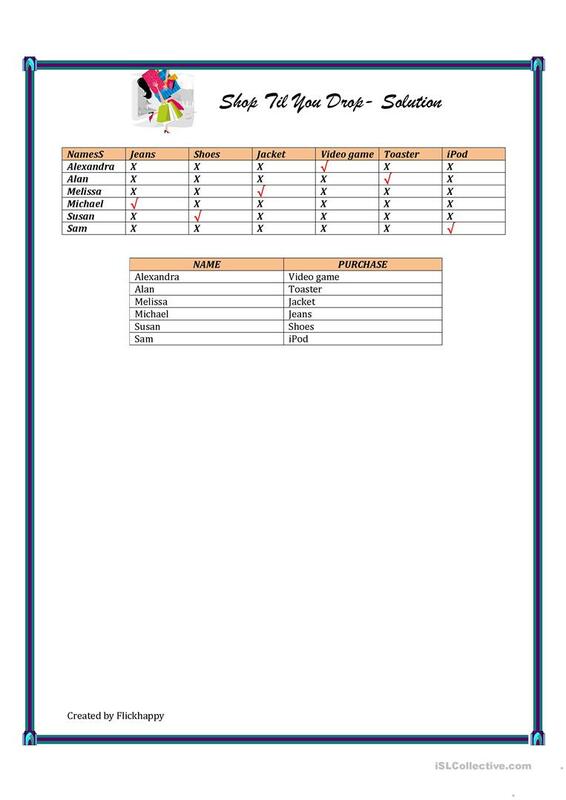 The other version without the clues can used for a dictation. The solution is included. The above downloadable printable was created for business/professional students, high school students, elementary school students and adults at Pre-intermediate (A2), Intermediate (B1), Upper-intermediate (B2), Advanced (C1) and Proficient (C2) level. It is valuable for teaching Past simple tense in English, and is excellent for improving your learners' Listening, Reading and Writing skills. It focuses on the topic and words of Shopping. The exercises come with a key.